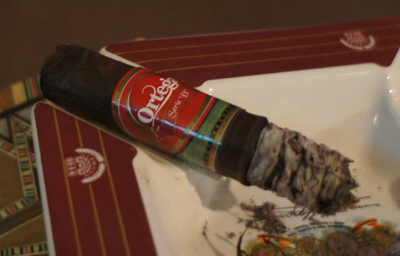 Today's review is on the first release from Eddie Ortega's new company, Ortega Cigars. At the end of January, Eddie publicly announced that he was leaving his partnership and previously successful company EO Brands to venture out on his own. I am very happy for Eddie as a businessman and as a friend, and I can't wait to see what he comes up with in his new venture. I'm also very happy to hear that he will continue to work with the My Father factory to have his cigars made. It's kind of sad to see that the O of EO brands will no longer be promoting the 601 line (a cigar I've smoked a ton of throughout the years), but I am sure they will continue on to make great cigars, also. The first thing I want to mention about the Ortega Serie D is the band. I like the direction Eddie went here. It's not overly complex, but still very visually appealing and has a modern feel to it. The red primary color is a nice contrast to the very dark, almost black wrapper leaf on the cigar. As well as the dark color, the wrapper has a lot of oils and looked appetizing. The pre-lit aroma was faint, but what I could smell was just a mild hay note. The cap clipped without problems and the cold draw tasted strongly of raisin. From the first full draw on the cigar, a ton of flavor was being produced. The front end of the profile was a very pronounced baking chocolate; slightly bitter, but in a good way. The finish had a lot of pepper and created an interesting balance to the bite of the front flavor. In my opinion, they matched very well. 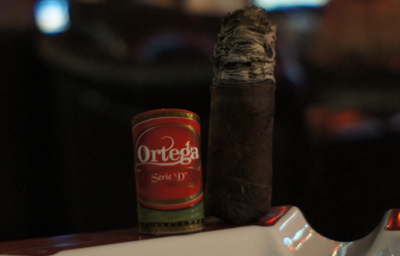 About an inch into my Ortega Serie D the peppery finish turned into a extremely spicy cayenne flavor. Now I will say that I had a wonderful jerk chicken dinner with my valentine before I smoked this cigar, so maybe some of that was still on my palette, but I have had this combo chocolate/cayenne in cigars before. If you've been reading this site for awhile, you might recall that I compared this flavor in another cigar to a specialty ice cream we have here in Columbus called Jeni's Splendid ice cream -- they make something called Queen City Cayenne that is very similar. If you have anything like that where you live, then you will know the flavor I am writing about. The construction was excellent and the burn perfect. I would put the strength of the nicotine in the cigar in the medium range. 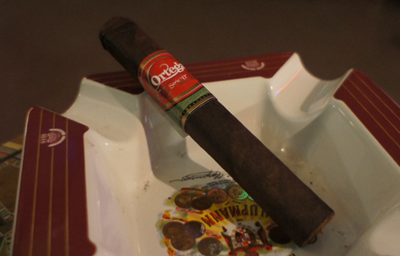 The second half on my Ortega Serie D saw the spicy finish fall off and be replaced by a warm raisin flavor. This taste was similar to the cold draw but even more in your face. The front of the profile was still a very rich slightly bitter baking chocolate. When I pushed the smoke through my sinuses, the chocolate seemed to really coat them and make for a long lasting flavor. It's been an hour since I put this cigar down and I still can taste it. Some cases that is bad, but in this case, it is not. Getting to the nub, the finish started to develop some raw sweetness. It didn't last long, but was an interesting finish. Again, I had zero problems with the construction and the strength never rose above medium. 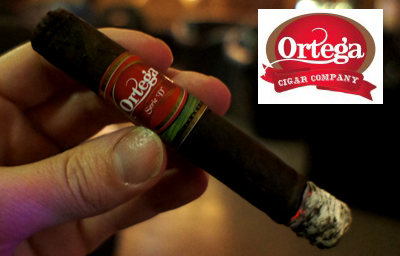 My final thoughts on The Ortega Serie D? For Eddie's freshman effort with his own brand, I say he aced the test. Though being a quick smoke in this short size, the smoking experience was a journey from a nice, rich dark chocolate, to a spicy palate teaser with a sweet finish. I don't tend to smoke a ton of heavy chocolaty cigars over and over, but this is one I could. There are enough other flavors happening that I would not be bored smoking through a box of these. 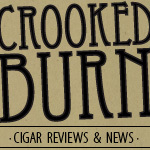 I hear a lot of people at my local saying they want a "flavorful, medium strength cigar". This is one they would enjoy. Would I buy a box? In ten count boxes at around 6 bucks a stick, it's a guaranteed buy for me.